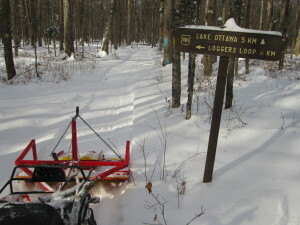 The Loggers’ Loop portion of the Ge-Che Trail was groomed on Tuesday, Feb 24. The rest of the trail will be groomed before the weekend. Enjoy! Our second One Life Retreat of the season is underway and going well! After a very windy and cold Saturday, this beautiful (and slightly warmer) Sunday is being spent on the ski hill or tube hill, cross country skiing, and playing broomball. 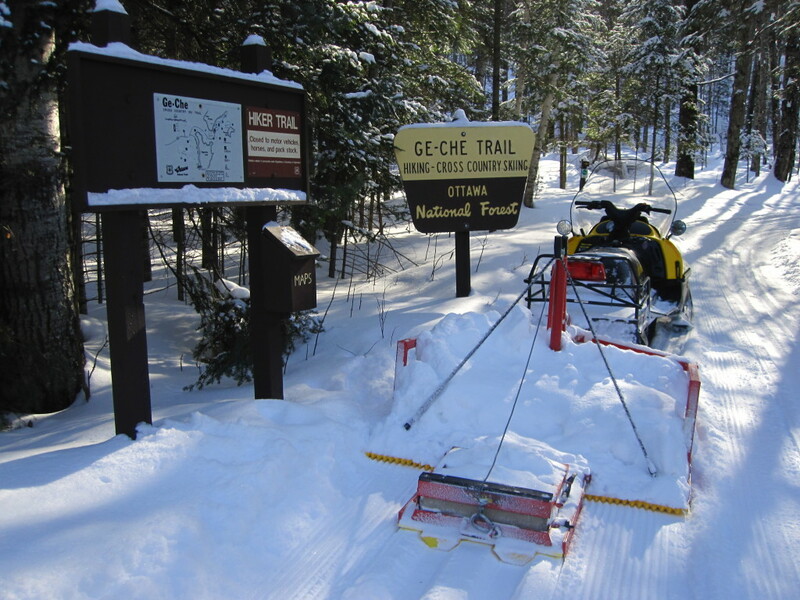 The Ge-Che Cross Country Ski Trail was just freshly groomed and tracked. Get outside and enjoy the sunshine. Three inches of fresh snow on Sunday, and despite subzero temps, the whole trail was groomed and tracked on Monday. Enjoy the trails and stay warm. Happy new year! After 8 heavy inches of snow yesterday, the entire trail is groomed and tracked. Western portion of the trail was done yesterday, and tracks set up nicely overnight. Remainder was finished today. The furthest east portions of the trail (near Bennan Lake) are closed for the season due to logging on Ottawa National Forest. Enjoy! 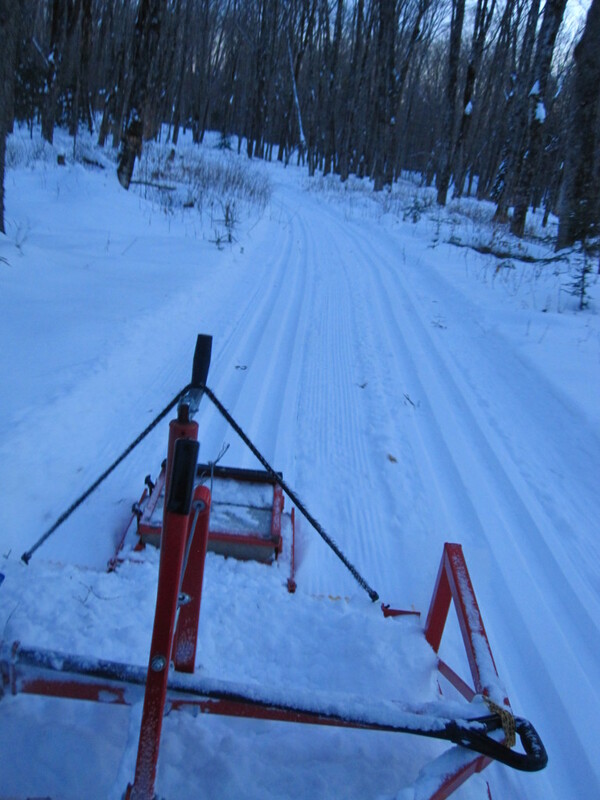 We received several inches of snow yesterday and last night, so a portion of the Ge-Che trail has been groomed. 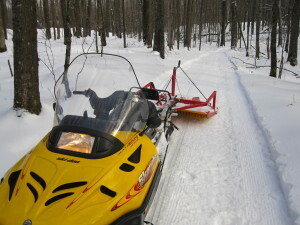 The trail West of Ottowa Lake Campground has been groomed double-wide all the way to Covenant Point. The Bennan Lake loop and the trail along the North end of Hagerman Lake remain ungroomed, although this portion appeared to be in good condition. Enjoy the warm weekend on the trails! The Ge-Che cross country ski trail was groomed today! With temperatures cooling to highs in the 20s over the next several days, the trails should set up for some quality skiing at the end of the season. Enjoy! We’ve received a couple inches of snow and heavy usage on the trails since they were last groomed. The entire trail system is groomed and tracked with most portions featuring double-wide tracks. Enjoy the increasing daylight on the trails! We’ve received nine inches of heavy dense snow in the past week. 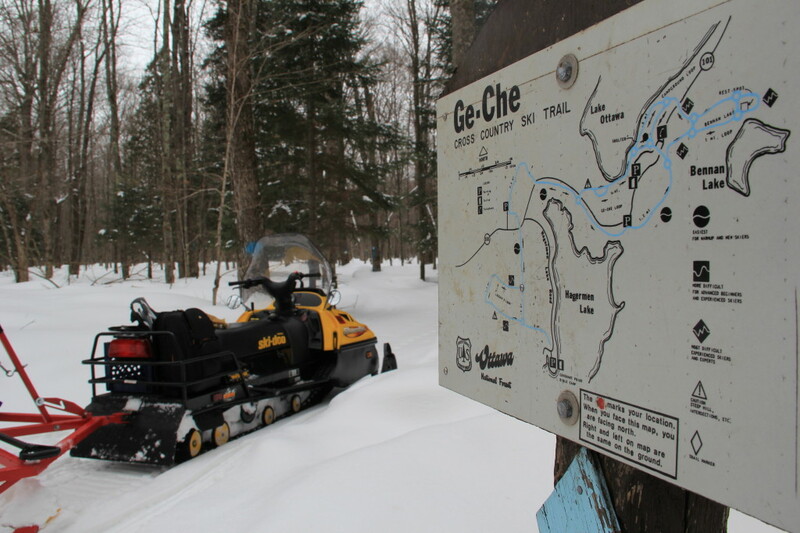 A portion of the 16k Ge-Che trail was groomed today. 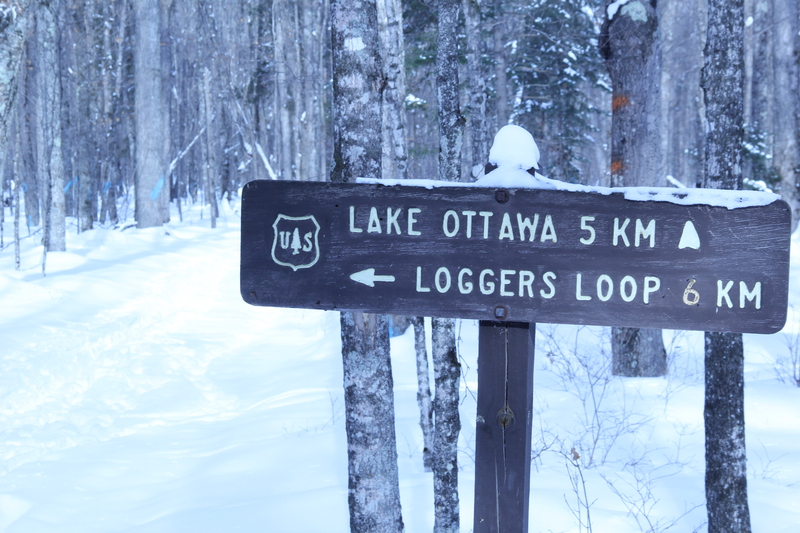 This includes the trail from Covenant Point, to Logger’s Loop, all the way to the Ottawa Lake campground loop. The eastern half of the trails will be groomed tomorrow afternoon. Enjoy! Three inches of new snow fell Thursday, and the entire trail system was groomed this morning. It is a beautiful weekend for our second One Life Retreat of the winter. Get out and enjoy the ski trails! After a week of blowing and drifting snow, and new snow late last week, the entire ski trail is now freshly groomed and tracked. Enjoy! Several inches of fresh powder fell this week and the trail was groomed this morning. Happy skiing! With a good base of snow, we’re looking at a good long winter of quality cross country skiing, with the entire Ge-Che Trail open this year. 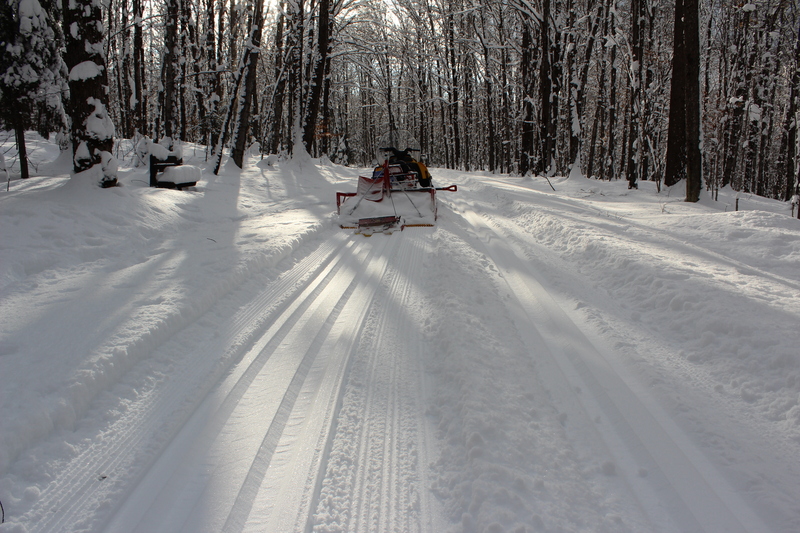 The trails have been groomed, with ski tracks laid. Download the Forest Service’s new trail map here. The snow is falling, the lake is freezing, and the ski trails are being groomed! Initial grooming on the Ge-Che Ski trail has begun and tracks will be laid soon! Dustin went out on the snowmobile to start getting the ski trails ready for the winter season. Get ready for some cross country skiing up at Covenant Point! December 10, 2013 | Categories: Cross Country Ski Updates | Comments Off on Trail grooming has begun! Kevin groomed the trails today. We have been getting ALOT of snow over the past two days so the trails are perfect for a serene trek in the woods. Come on out! Ski trails were groomed this week and conditions are great. Come on out to enjoy the Ge-Chi Ski trail. But remember that the eastern half of the trail is closed due to logging in the area. This past weekend seven men ventured to the porcupine mountains for a three day/two night expedition into the backcountry to stay at a rustic log cabin in the woods. Below are reflections of men who went on the trip and pictures of the beautiful nature we encountered throughout the weekend. A beautiful weekend skiing in the Porcupine Mountains off Lake Superior was the perfect way for former and current staff to connect in an intimate setting. Dustin, Covenant Point’s outdoor ministry director, led the trip with our intern Johanna and brought along former staffers Trevor Mayo and Claire Nelson. Throughout the weekend they visited vistas, ate good food cooked on the woodburning stove, had great chapel times of sharing and worshipping, and caught up on life. Dustin and Colby head out this Friday for the first Men’s Winter Expedition. There is still one open space, so sign up if you are interested! Covenant Point Bible Camp is offering a men’s snowshoe and cross country ski backpacking trip in the Porcupine Mountains. Meals, transportation, and a rustic cabin will be provided. Snowshoe, ski, and backpack rental are included. After being outfitted with necessary gear, we will travel by van to Porcupine Mountains Wilderness State Park. The remote cabin is a somewhat rigorous four mile ski/snowshoe from the trail head. Saturday will be spent exploring, enjoying God’s creation, having quiet time, fun, and fellowship over meals and conversation in the great outdoors or a rustic cabin setting. On Sunday the group will ski back to the van, and travel back to Covenant Point by 4:00 PM. Bring: Bible, lightweight sleeping bag, a bed sheet, pillow, plenty of warm layers, hiking boots, gloves, hat, small flashlight, toiletries, personal items, clothing, book or group game for entertainment. Only six spaces are available. The cross country ski trails were groomed just a few days ago and the trail conditions are beautiful. The 15+ inches of snow that we got last week make for BEAUTIFUL scenery while skiiing through the woods. Come and visit. Kevin and laurel groomed the trails today. Come on out to enjoy the beauty of winter! Kevin and Dustin went out early this morning to groom the ski trails. Feel free to come and enjoy the trails and remember the optional donation box at the trail head in our parking lot.